Maintaining data quality has always been a top issue for enterprises. But as data needs and business environments change – including big data, unstructured data and data governance – it’s never been more challenging. 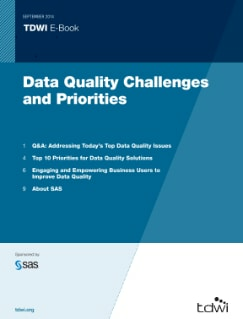 This TDWI e-book examines how organizations are addressing their most pressing data quality issues, the top 10 priorities for data quality solutions and the best ways to engage and empower business users to improve data quality.